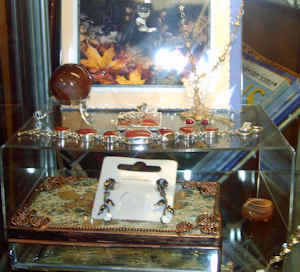 Fine jewellery of exceptional workmanship in conventional and not so conventional settings. 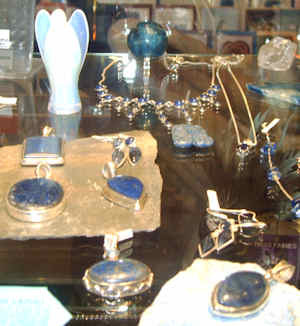 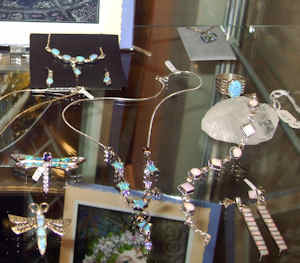 Most pieces are individual or even unique so please call in to see our latest ranges. 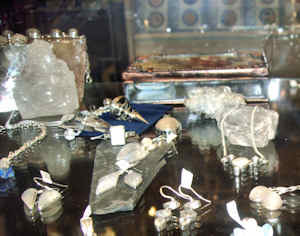 We also sell a number of tumbled crystals, small geodes and polished crystal balls and carvings. 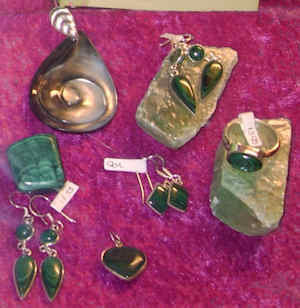 Val has many years of experience with crystals and is always happy to advise you on a choice.